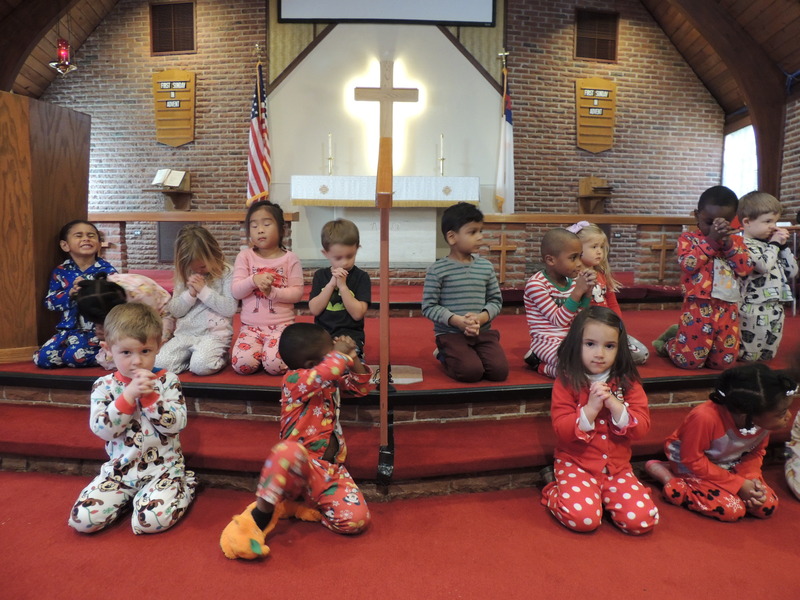 On Wednesday, December 12, we held our Preschool Christmas Program, “Christmas in Our Jammies.” It served as the regular evening Advent church service. 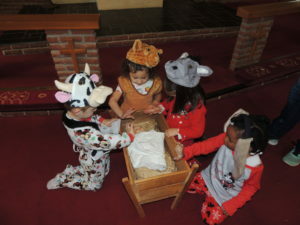 The good news of Jesus’ birth was shared with many families, friends, and church members in a unique and special way. “Christmas in Our Jammies “presented pictures of our preschoolers in their pajamas portraying the Biblical account of Mary and Joseph traveling to Bethlehem to give birth to our Savior. 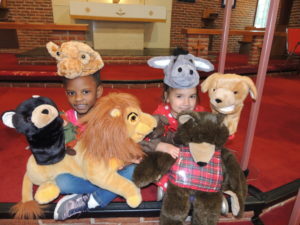 The program was complete with angels, shepherds, and the many animals that may have surrounded Jesus in the stable. 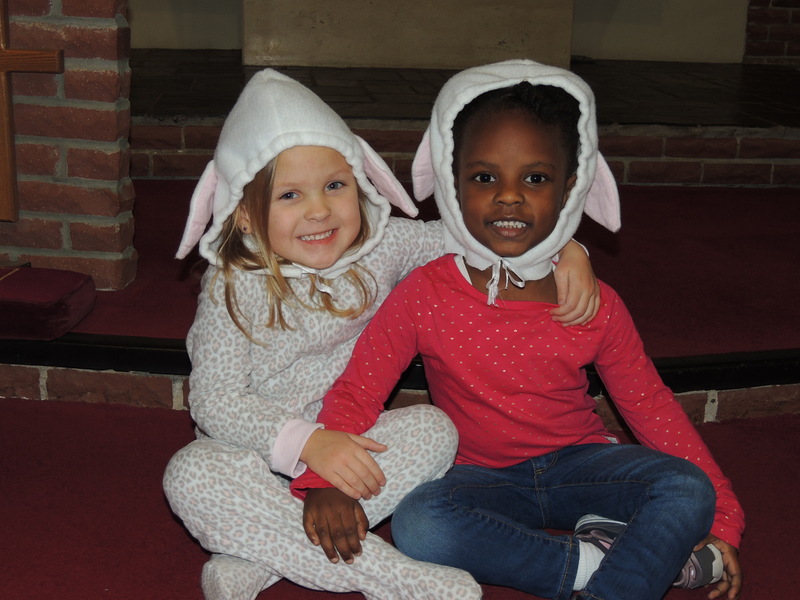 Throughout the program, the children sang songs, sharing the special message that Jesus was born on Christmas day for all of us. 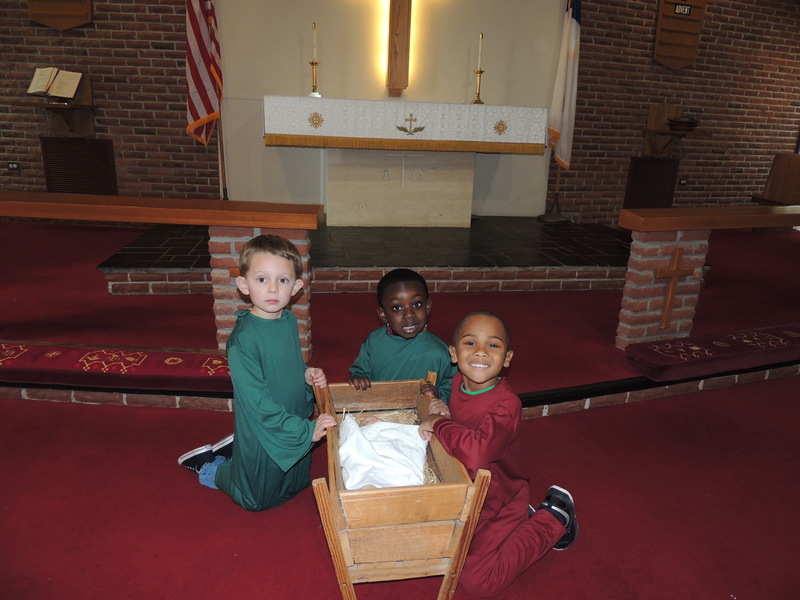 Not only were our preschoolers sharing the true meaning of Christmas with all of us, they were sharing it with family members across the country. 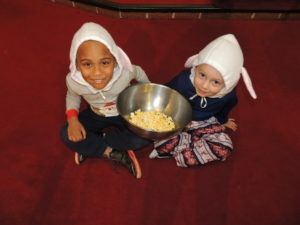 Over 30 households watched “Christmas in Our Jammies” via live streaming. The program can be seen on in our archived services on our website at rlcnn.org/streaming/. 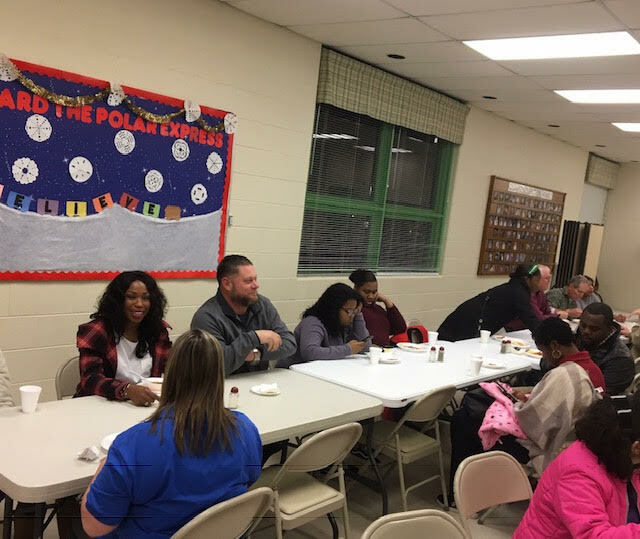 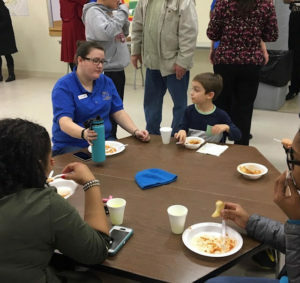 Prior to the program, our School Board hosted a Spaghetti dinner in which families and church members were able to fellowship.